RPF constable admit card 2019: The Railway Recruitment Board (RRB) has released the admit card for the recruitment exam to enrol in the Railway Protection Force (RPF) on the official website — constablegrpb.rpfonlinereg.co.in. Candidates can download the admit cards for the post of group A, B and F.
Earlier, RRB had declared the admit card or call letter for the phase III of its recruitment cycle. The earlier released admit cards were for the vacancies at the level of group C and group D at the post of constable. Meanwhile, admit card for the post of sub-inspector have also been released. 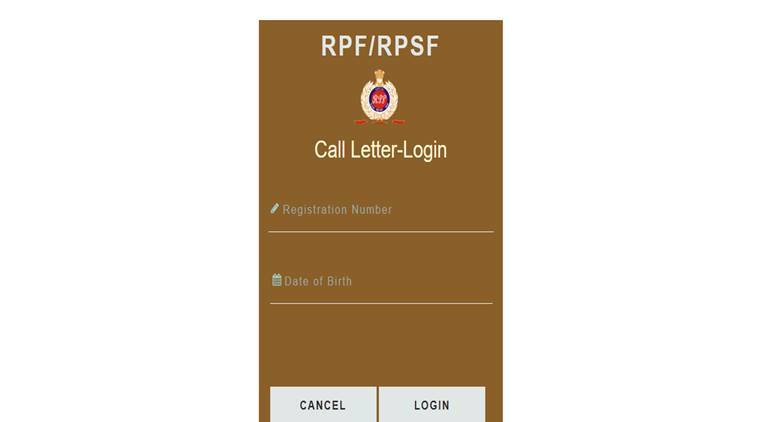 Check updates: RPF SI admit card released. Those candidates who pass the CBT exam will have to then appear in the Physical Efficiency Test (PET) and Physical Measurement Test (PMT). Thereafter the candidates who have applied for drivers / ancillary staff / band will have to appear in the trade test. The last and the final stage of the recruitment process will be the document verification.